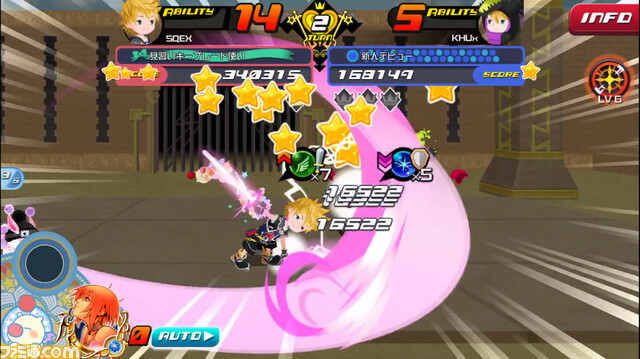 Showing results for tags 'KHUxDM'. Famitsu features Question and Answer Discussion Panel with Tetsuya Nomura discussing development of Kingdom Hearts Union x[Cross] and More! Famitsu released an issue on April 18th, 2018 showcasing a three-page feature on the Kingdom Hearts Union x[cross] 2018 fan event, aka "Dandelion Meeting," which took place at Disney's House of Blues Anaheim in Anaheim, California. The feature talks about the activities carried out across the event, the Classic Kingdom Trailer, and the question and answer section of the discussion panel with Tetsuya Nomura among the development staff! Here is the full article with the panel discussion translated by team members Mio-Chan and NihonScribe. Images below are from the design panel discussion. Welcome to KH13’s trailer analysis of the “Classic Kingdom” trailer revealed at this past weekend’s Kingdom Hearts Union χ[Cross]: Dandelion Meeting fan event! With a title like “Classic Kingdom,” the trailer expertly hooks viewers in with a poignant call to gamers’ nostalgia in the form of LCD inspired minigames created through the unreal engine! But first, the graphics! We start off with Sora and Co. in an updated Twilight Town surrounded by Haynes, Pence, and Olette in new outfits. This is the first time the Twilight trio have been seen in the unreal engine and they look fantastic. They're rocking a new style, involving plaid similarly to Riku’s new makeover, but they are still similar enough to be recognizable as Roxas’ easygoing pals from Kingdom Hearts II. 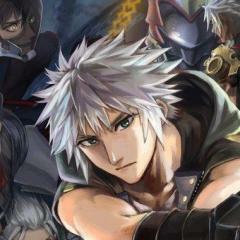 Sora is in the middle of the group holding a device. In the next shot we see him and Donald and Goofy staring at a device he’s holding as well before we cut to the LCD goods (cue adorable soundtrack). Next we are introduced to Sora, Mickey, and Minnie in 2D, moving in a way similar to Mr. Game-And-Watch. We are then treated to a montage sequence of four mini games. First Sora and Mickey are introduced in the new gameplay style, traversing across unstable building beams being arranged by Pete to reach Minnie. Then the games start. Each one is based off a classic Disney cartoon with the same name. The first game is called “The Barnyard Battle.” It is a rhythm game in which Mickey and Sora shift from left to right, bopping cows falling to the sides of them. It works similar in the vein of Dance Dance Revolution (and looks just as punishing). The second game, “The Karnival Kid,” involves Sora working hard as a server, cooking hot dogs and piling up a specific dish upwards in the direction of a wanting customer (ranging from Goofy, Mickey, and beyond). Players will be able to tell the specifics of the order based on the speech bubble that shows up over the customer’s head. “Giantland” is the next game shown with Sora working to avoid a giant’s tantrum through various obstacles before swinging on chandeliers above him to reach Mickey. This was the only minigame shown previously at the D23 Event 2017 in Japan. It’s nice to see its return here. 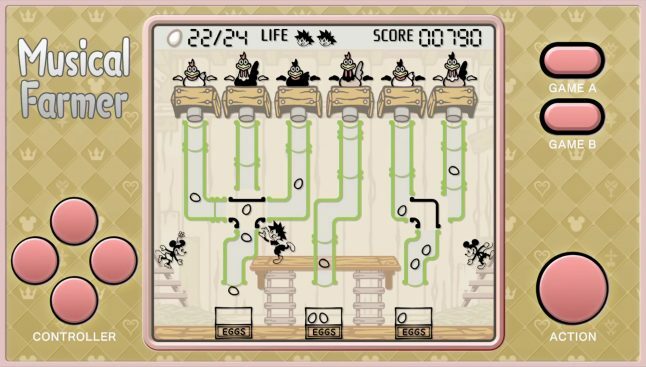 Lastly, “Musical Farmer” is the final minigame shown which has Sora shifting tubes and collecting eggs that birds drop down the tubes into baskets before delivering them to either Mickey or Minnie on the sidelines. 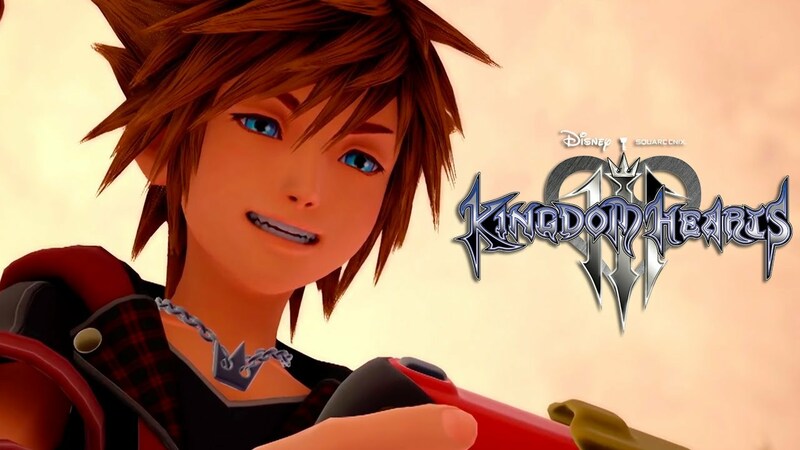 The trailer ends with Sora smiling at the pseudo-Switch-looking device before turning excitedly towards his friends. It's a great detailed close-up that really highlights Sora’s eyes and facial features. The graphics continue to improve with each trailer giving fans much hope for the finished product. But if you need a break from fighting heartless, these minigames should take you back to a simpler time. It serves as a nice reprieve and great addition to the various series of minigames in the Kingdom Hearts series along with the aesthetics of the Timeless River world in Kingdom Hearts II. No matter how much time passes, it looks like there will always be room for the classics and it's great to see Square Enix pull inspiration from early Disney cartoons once again! I’m looking forward to seeing what the others have in store. As someone who was lucky enough to experience a few of these games at the event itself, I think they are a great addition. “Karnival Kid” really had me on my toes. Cooking isn't easy folks! What were your favorite parts of this new trailer? Who thinks they’ll become addicted to these new minigames? And how do you feel about the Twilight trio’s new look? If there are any details I missed please let me know in the comments below! I hope you enjoyed this analysis! You can catch the charming trailer here. Don't forget to check on our live coverage of the event here for more details on some gameplay and other exciting info on Kingdom Hearts Union χ[Cross]! On April 15th, Square Enix hosted the first ever Kingdom Hearts Union χ[cross] Dandelion Meeting, where fans could participate in various activities and meet fellow fans. 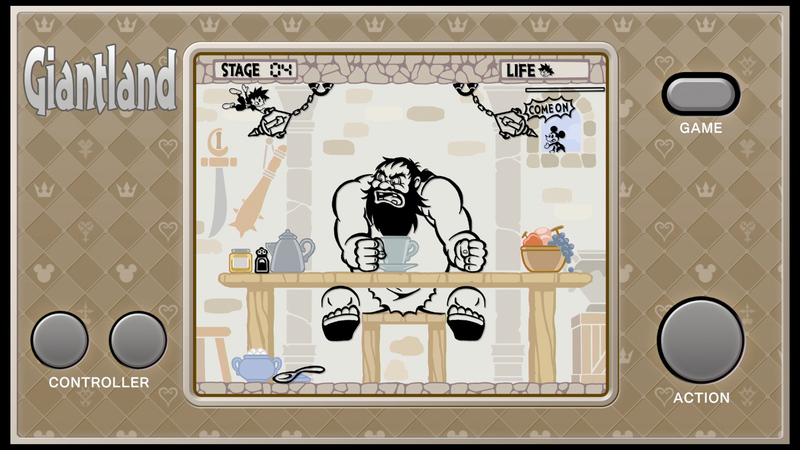 One of the featured activities was called “Classics”, and was a demo for the Game & Watch-style minigames that would be featured in the upcoming Kingdom Hearts III, collectively titled “Classic Kingdom”. The demo lineup consisted of four available games; Giantland, The Barnyard Battle, Musical Farmer, and The Karnival Kid. In addition, each game was played on a tablet, foreshadowing the later announcement that a selection of the Classic Kingdom minigames would be playable within Kingdom Hearts Union χ[cross]. Due to being one of the attendees of the Dandelion Meeting, I am able to give a written summary on the gameplay of the demo I played, as well as my personal impressions of the demo. Since attendees were lined up to play, we were directed to quickly take our seats, unfortunately giving us little to no choice as to the game each attendee was playing. The game I happened to be seated at was Musical Farmer, and I was given five minutes to play. The Musical Farmer minigame is loosely based on the 1932 Mickey Mouse cartoon of the same name. Within the game, six hens are laying numerous eggs which fall slowly through six pipes. Several of the pipes are joined by a segment that Sora can rotate to complete a given pipe’s path, at the expense of another pipe being blocked off. At the bottom of the three ending pipes, there are three boxes which can each accept up to six eggs. Sora can then descend the ladder and pass the egg boxes to the left or right. If a box is passed to another box’s position, the two boxes swap places. The goal of the game is to pass egg-filled boxes to Mickey and Minnie on either edge of the screen, increasing the player’s score. After a given number of eggs is reached, the round ends and a new round begins, with a higher amount of eggs needed to complete the next round. If an egg hits one of the aforementioned intersections and cannot continue through the pipe (see pipes 2 and 6 in the above image), the egg breaks and Sora loses one of three lives. The board is cleared, and the player begins again, keeping the same score and amount of eggs collected in the round. A similar situation happens if an egg hits the ground as Sora is passing a box to Mickey or Minnie, or if an egg falls onto a box that already has six eggs. Upon losing all three lives, the game is over, and the player’s score is presumably recorded. (Unfortunately, I can not confirm this last point, as neither I nor the two players adjacent to me lost all of our lives in the time allotted.) Overall, I enjoyed Musical Farmer quite a lot! While the game is indeed simple in its mechanics, I found it genuinely addictive, and several other attendees I talked to were enamored during their play sessions, as well. The art style is both a faithful recreation of the classic Musical Farmer cartoon (complete with the Timeless River rendition of Sora), and an exact match to the Game & Watch handhelds and others like them. Unfortunately, the venue was quite loud, so I could not hear any music from the game itself, but I would not be surprised if Square Enix decided to use a chiptune version of the music from the cartoon itself, which audibly complements both of the above aspects of the visuals. Hearing something like that would absolutely complete the experience for me! I look forward to playing Musical Farmer again, along with trying the rest of the Classic Kingdom collection! What do you think of Musical Farmer? Did you get to try one of the Classic Kingdom games at the Dandelion Meeting? Which one do you think will be your favorite? Let us know in the comments below!